Are you looking for holistic exercise with depth and versatility? Would you like to have fun while building health, vitality AND confidence with real-world self-defense skills? Face and overcome your Fears — Build confidence and empower yourself! Self-Defense training, physical conditioning for health and fitness. Meditation and energy cultivation to clear blocks, build vitality, and enhance awareness. Strategies for self-defense, survival, weaponry, effective communication, as well as personal and spiritual development. Taught in a progressive, structured curriculum, based on each student’s individual needs in a friendly, respectful environment. Are you ready to change your life? (程 式 龍形 游身 八卦掌, Cheng shi Long Xing You Shen Bagua Zhang). While we integrate the study of other martial arts for perspective and realistic depth, Dragon Shape Bagua Zhang is the versatile system that we utilize as a foundation to build our bodies, calm our minds and focus our spirit. 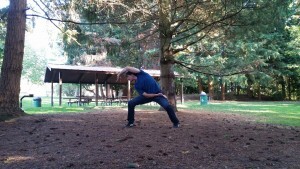 Dragon Shape Bagua Zhang is an ancient, multifaceted martial art that integrates self-defense, energy cultivation, Taoist Yoga methods of enhancing awareness, intuition and consciousness, and strategies for improving communication and resolving conflict. 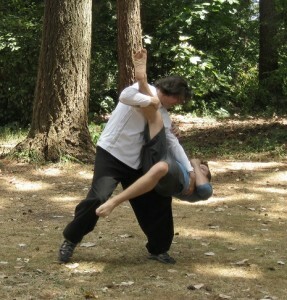 At it’s core, Bagua Zhang is an art based on transformation, not only in conflict, but also for the creative enhancement of the practitioner’s entire life. Bagua Zhang is derived from ‘Circle Walking’, an ancient meditation and energy cultivation practice, first documented over 5,000 years ago. The continuous coiling and turning movements of the circle walking practice hypnotically conceal deceptive strategies and powerful self defense applications. 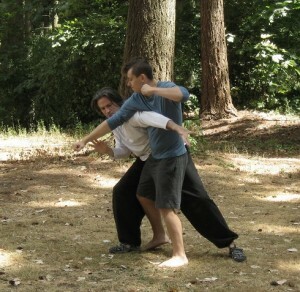 The self-defense techniques in Dragon Shape Bagua Zhang utilize evasive footwork, strategies for “swimming through” multiple attackers, and using the entire body for devastating strikes, locks, chokes and crippling throws. Training classes available in person in Seattle and remote online video worldwide! Get centered with flowing, coiled power — become the eye of the storm! 八卦掌 Bagua Zhang (“8 Trigrams Palm”) is a refined, formidable ‘Internal’ Chinese martial art, which develops keen sensitivity, robust vitality, and instinctual versatility. 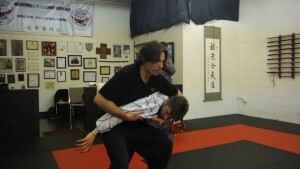 Training a calm, centered mind and body while dynamically cultivating core-strength and internal power, this powerful self defense method uses circular strategies that blend fluid, evasive footwork with spiraling counter-strikes and throws to bewilder attackers and neutralize aggression. Practicing Bagua Zhang awakens self-awareness and promotes personal health through a natural progression of exercises and skills, integrating practical strategies for peacefully resolving confrontations — on both physical and emotional/inter-personal levels. Classes open to children (ages 7 and up), adults and seniors, beginners and experienced practitioners welcome. Class curriculum includes basic exercises, solo forms and applications practice, weapons training, and partner drills for developing sensitivity and strategic skills. Bagua: 8 Phases of Transformation arising from opposing but complimentary polarity. 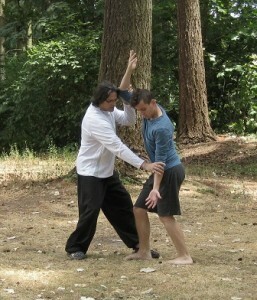 The “Internal” training of Bagua Zhang is rooted in Taoist Yoga (Dao Yin) and Qi-Gong (氣功 – Breath & Energy Work). Taoist Yoga (導 引 – Dao Yin, literally “Guiding and Stretching”) are Chinese exercise methods that coordinate breathing and movement to calm the mind, cultivate Qi (氣, pronounced “chee”), the vital life force within the body, and harmonize with natural universal energy. Some forms of Dao Yin (sometimes referred to as Yang Sheng 養生, “nourishing life”) are soft and gentle, others more rigorous. The root of Qi-Gong (氣功 “Breath-Work”/”Energy Practices”), Dao Yin are ancient practices that can be traced back over 4,000 years, have heavily influenced Chinese medicine, and are integral to traditional martial arts practice. 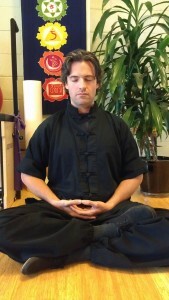 The “Internal” training of Taoist Yoga dissolves blockages in the nervous system caused by injury, toxicity, bad habits, and poor nutrition, and therefore rejuvenates cells, organs, and tissue by improving circulation and redistribution of nutrients to the cells, thus promoting self-healing and cultivation of body, mind, and spirit as a whole. 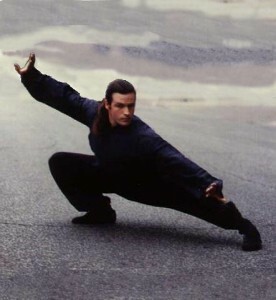 on Bagua Zhang, Yang Taiji Quan (Tai Chi), Xing-Yi Quan (“Mind Shape Boxing”), weapons training, self-defense, Qi-Gong/Chinese Yoga and meditation, emphasizing simplicity of practical principles, drills and applications. 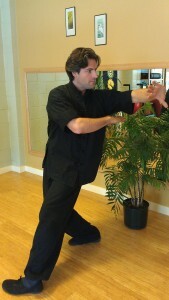 He has studied several styles, though his specialty is BaguaZhang: “8 Trigrams Palm” — he is a 5th generation disciple of Cheng style Bagua Zhang, and this is his primary focus in training and teaching to pass on to the next generation. Call (206) 440-9187 to Schedule so I can introduce you to our class and customize your training needs here at Mace Martial Arts! Monthly Membership enrollment allows you to attend as many of the regular group classes as you can per month and grants access to Mace Martial Arts learning materials, documents, books, videos, discounts to upcoming Workshops, Retreats, and discussions with classmates and your instructor via the members Facebook group where we share files, videos and content, ask questions and have discussions about training, and review material covered in class. 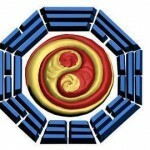 These materials are gradually being added to the Vajra Bagua Zhang student reference page. The Monthly Membership Plan is only $100 per month. We also offer Family discounts when your family members join with you in classes! Mace Martial Arts Membership offers more resources to help you learn while enrolled in Monthly Group classes, or in private lessons, in addition to tuition. Membership benefits are included with the Package Programs (Quarterly, 6 Month and Full Year). Referral Discounts: $20 Discount off 1 Month’s Membership Tuition fees for referring a new student to enroll in classes, and a $20 Discount to the new Student that you refer for their first month! 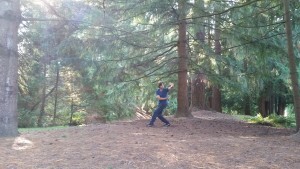 Want to learn Bagua Zhang from home? Email me at dennis@macemartialarts.com now, and we can schedule a time to begin your training! Now offering 2 package programs — 6 month Essential Package, and full year Journey to Mastery Package — for students that want an immersive learning experience and are ready to commit to lifestyle change and certification, with more support and resources to help guide you to your goals. Each of these programs include all regular group classes, private lessons, full uniforms (shirt, pants & sash), half-off workshops, testing fees and membership fees all at a package discount. 1.) I’ve practiced so many years of yoga and advanced training that I’ve received both in yoga and Massage therapy that have made more intuitive/open to learning movement arts. In other words, I’m more “receiving” than in my previous early adulthood. 3.) You! You’re teaching method is friendly, understanding and giving. You’re enthusiasm shines through. You emphasize the importance of knowing the how/why and not getting hung up on the fluffy image stuff. In some ways you are an evolution of modern teaching that’s effective and not stuck in an outdated model of delivery. Arthritis.Tufts University (October 2008, American College of Rheumatology) found that one hour of tai chi twice a week for 12 weeks reduced pain and improved mood and physical functioning more than standard stretching exercises in people with severe knee osteoarthritis. In the journal Evidence-based Complementary and Alternative Medicine (December 2008): eight weeks of tai chi classes followed by eight weeks of home practice significantly improved flexibility and slowed the disease process in patients with ankylosing spondylitis, a painful and debilitating inflammatory form of arthritis that affects the spine. Breast cancer. Researchers at the University of Rochester (Medicine and Sport Science , 2008) found that quality of life and functional capacity (including aerobic capacity, muscular strength, and flexibility) improved in women with breast cancer who did 12 weeks of tai chi, while declining in a control group that received only supportive therapy. Heart disease. Journal of Alternative and Complementary Medicine (September 2008): Tai chi significantly boosted exercise capacity, lowered blood pressure, and improved levels of cholesterol, triglycerides, insulin, and C-reactive protein in people at high risk for heart disease. There was no improvement in the group that did not practice tai chi. Heart failure. Harvard Medical School: 12 weeks of tai chi improved participants’ ability to walk and quality of life. It also reduced blood levels of B-type natriuretic protein, an indicator of heart failure. A 150-patient controlled trial is under way. Hypertension. Preventive Cardiology, (Spring 2008): In this review of 26 studies, in 85% of trials tai chi lowered blood pressure — with improvements ranging from 3 to 32 mm Hg in systolic pressure and from 2 to 18 mm Hg in diastolic pressure. Parkinson’s disease. Washington University School of Medicine, Gait and Posture, (October 2008): People with mild to moderately severe Parkinson’s disease showed improved balance, walking ability, and overall well-being after 20 tai chi sessions. Sleep problems.University of California, Los Angeles, Sleep journal (July 2008): 16 weeks of tai chi improved the quality and duration of sleep significantly more than standard sleep education. In total we raised $1300 for Seattle Cancer Care Alliance. Everyone had a good time, and I’m looking forward to participating again next year. Flow with the Changes to a Happy New Year! 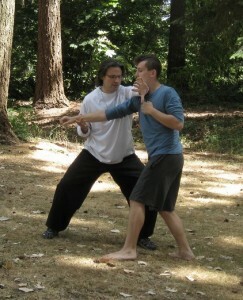 I will be teaching a Intro to Bagua Zhang Workshop at East West Bookshop on Sunday, January 6th from 3pm-6pm!